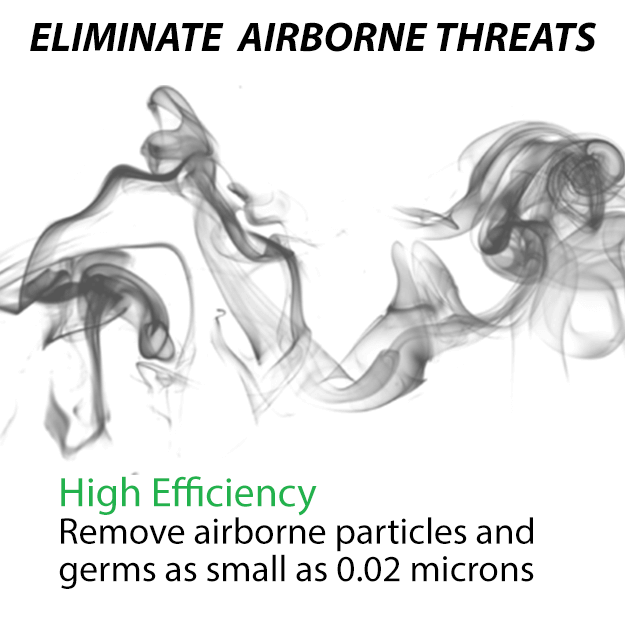 P800 is able to remove particles as small as 0.02 microns! 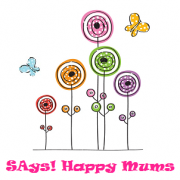 Do we use HEPA filters? Do we use carbon filters? No, we don’t. Carbon filters are commonly used in filter-type air purifier. 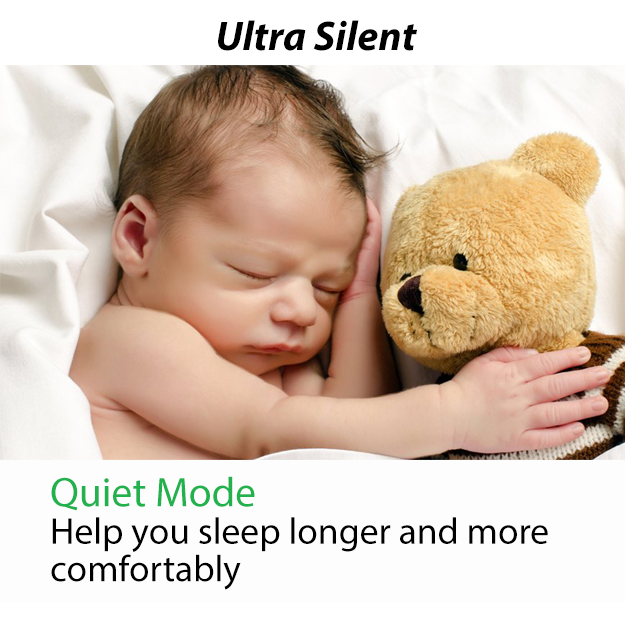 Their main function is to absorb VOCs (Volatile organic compounds). 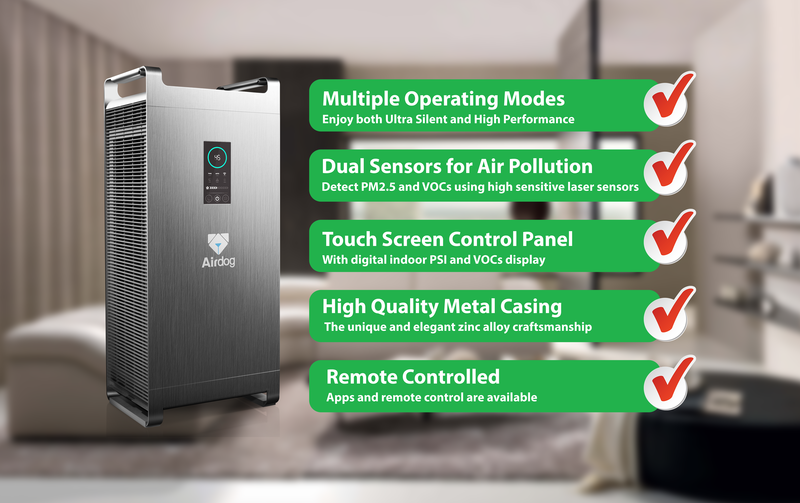 P800 uses TPA technology to decompose and remove VOCs directly, therefore you can be assured that the filtered air will be free of VOCs. 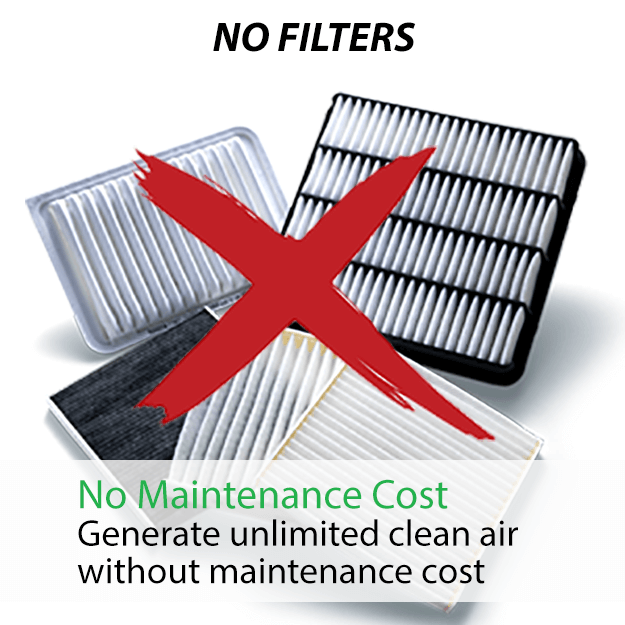 Do you need to replace any filter? No, you don’t have to 🙂 The filter (electrodes) are reusable and easy to wash.
Why we don’t use Hepa filter like others? 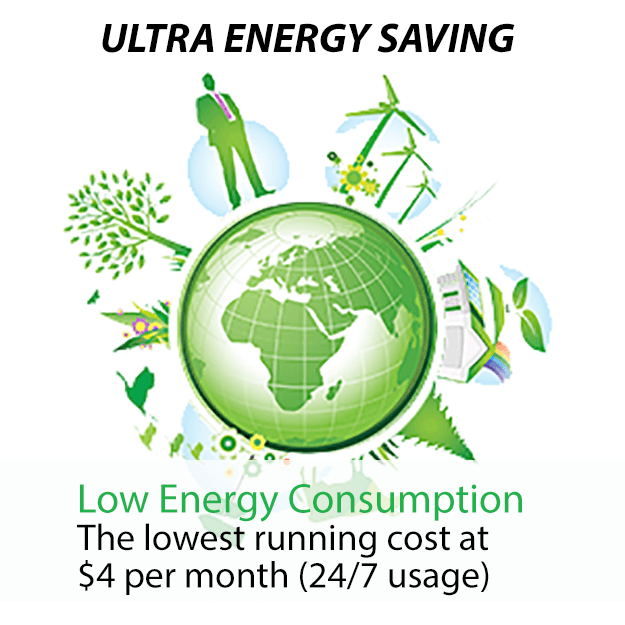 Hepa Filters have to be changed frequently for it to filter air more efficiently, which means more costs are involved. The average cost to replace a new set of Hepa filter ranges from $80 to $150, depending on the air purifier model. The suggested frequency to change Hepa filter is every 6 months. Hepa Filter has their limitations. It works ineffectively if the amount of air it has to filter is large and the airflow rate is low. Therefore the filtered air might not be clean and fresh all the time. How do we clean the air without any filters? 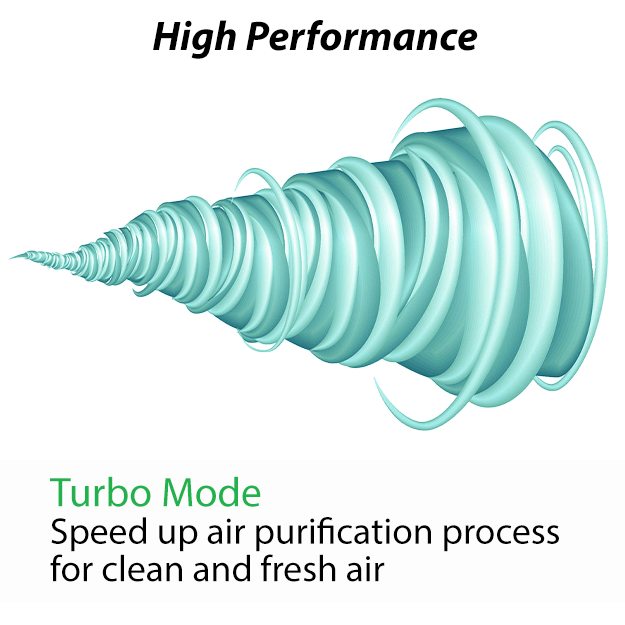 P800 uses TPA technology to create clean and fresh air. TPA is filterless technology by silicon valley air experts. For more details please check here. How P800 remove 0.02 microns particles? P800 uses emitting electrodes to charge particles, the process is independent of particles size. Other filter-type technology, the filterable particles size is dependent on filters. (HEPA has a limit of 0.3 microns in particle size). P800 uses collecting electrodes (act as a magnet) to pull all the charged particles as small as 0.02 microns. Simple remove the filter (electrodes), give it a good scrub with soap and rinse it under running tap water before putting it out to dry. Piece of cake isn’t it? P800 has a one-year onsite warranty and estimated seven years life span. The TPA technology keeps the P800 operating for as longer as possible. Our customer support is here. 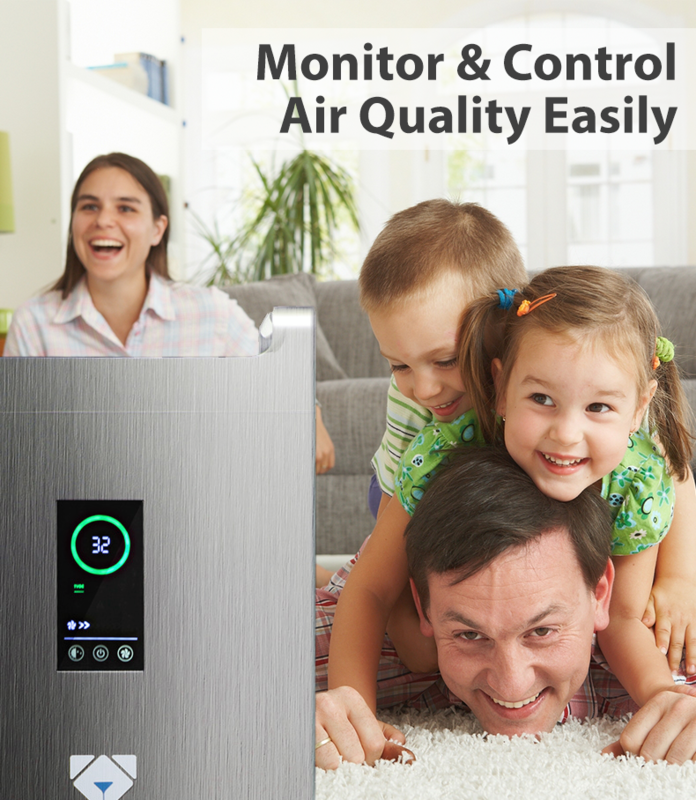 How to know if the surrounding air is clean? Unlike other air system in the market, P800 is the only system provides air quality dashboard. 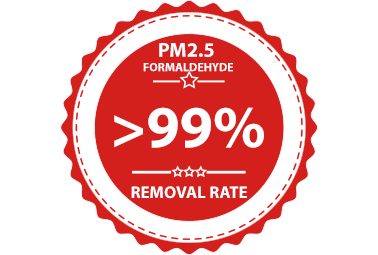 You can read the indoor PSI directly from the front screen and know the VOCs level of your surrounding. What is the maximum coverage of P800? 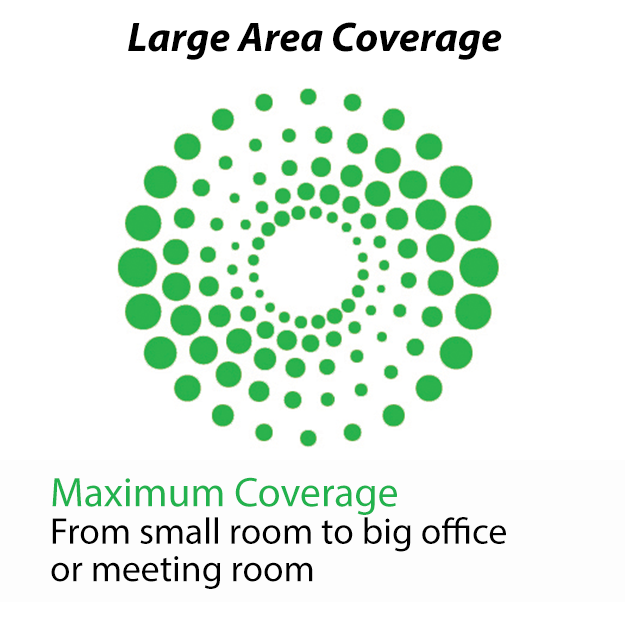 The maximum coverage is 100 square meters or 1076 square feets. Is P800 similar to ionizer? No, P800 is totally different from ionizer. Ionizer is a very old technology and is not effective at removing airborne particles. You can install our smart app which allows you to view the air quality dashboard in your phone and control the running mode anytime and anywhere on the go. I really like that there are no consumables for the Poiema air purifiers as the electrodes are easily washable and reusable. No need for HEPA filters and guessing when and if you should change the filters (which are costly)!